Intended for diplomacy. I do not recommend for FFA, as it was not designed to be balanced. Map is set for the modern day Runescape time period, bonuses would need to be modified for other time periods. Negative bonuses on the God Wars Dungeon, slowing outside interference into the dungeon, and allowing the frozen door to withold Nex. Or you can have it at 0, but it really doesn't deserve to be worth anything. Areas of influence allow for easy custom scenario setup, and gives people who do not play Runescape an idea for the different areas. Underground cities are added. It is important to note that the entrances are the SAME territory at top and bottom. This feature was necessary because these cities are not zoomed in upon, they are underground. Review by Timinator • apex on 2/26/2016. Lots of missing or wrong connections. Review by MrOobling on 4/23/2016. 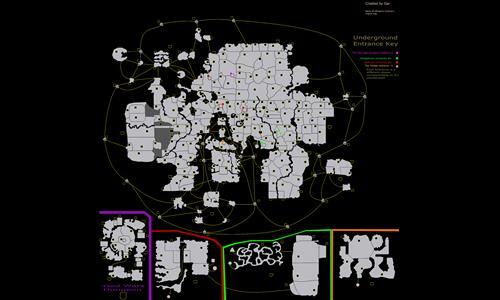 Lovely map for Runescape fans however, there are a lot of missing connections and large sections which aren't connected well so most of the time, you will only have one or 2 neighbors who you can attack.